Price varies depending on the season, on lenght of stay, number of rooms reserved, etc…. tourist tax of 3,50 € per person and per night for individuals above 10 years old. 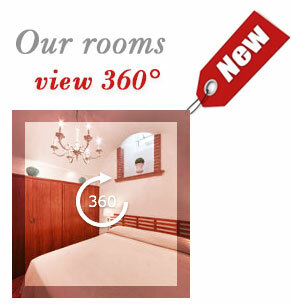 Each room is equipped with Queen size (160×190 cm) bed, safe box, LCD TV. Hair dryer and additional pillows. Upon request, it is possible to add an additional bed in room Giunone for extra 20 € per night and/or a cot for 10 € per night. Discounts for stay 6 nights or longer.